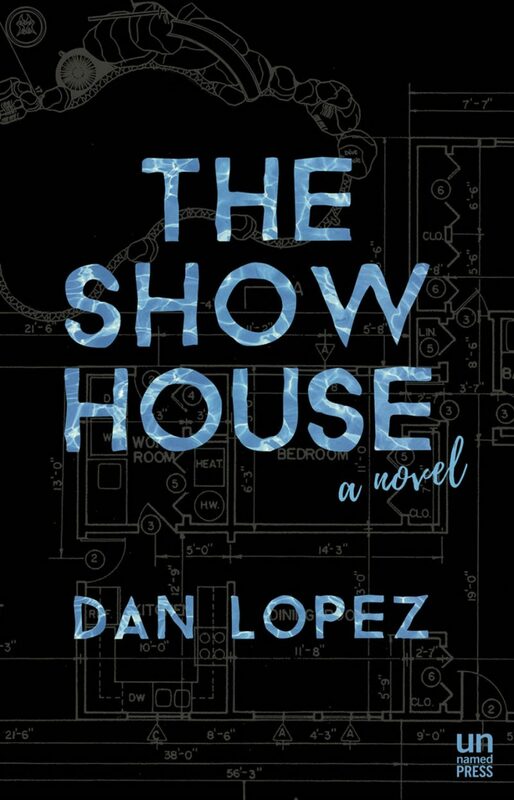 The Show House, a novel by Dan Lopez, is a mystery that brings together murder, passion, family, and ideas of what it means to be gay in the face of normative pressures. 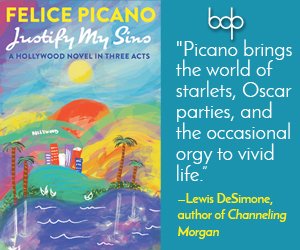 Less of a typical whodunit, Lopez’s debut novel will be, for many, a refreshing exploration of why-did-they-do-it. Which, being read as a question left unanswered, is a powerful nod to the gulf that exists between action and intent in the face of tragedy. The novel begins with Thaddeus and Cheryl, two prototypical baby boomers- white, complacent in their gender inequality, and set in their accumulated middle class wealth–who leave their home to allow it to be fumigated. They go stay with their estranged son Steven, his partner Peter, and their adopted daughter Gertie in their gated community across town. Steven is a real estate agent and runs a shelter for wayward queers, Peter is a gallery owner, and Gertie speaks primarily in emojis–most notably by overusing the image for poop. They are the very picture of a 21st century liberal family: a slick veneer of American liberalism pulled taut over a web of rage and cruelty directed at those who seem to have less than them. Although this dynamic has been depicted before, there is a newness in Lopez’s rendering of this multigenerational family. Many of us are aware how, one day after years of not talking, a phone call or email will flip a switch and an abusive parent will be back in an adult child’s life. In cases such as these the homophobia is still operative, but it often takes a back seat to other dynamics. In The Show House, we see the reunion between Steven and his parents primarily through Thaddeus’ eyes. This perspective affords an opportunity to see inside the father/son homosocial rivalry from the point of view of the withering older man: his refusal to see his own role in what he lost and his hunger to take what he can before it is too late. Alongside that family is another: that of Laila and her half brother Alex. Descendants of a famous fashion designer, the siblings embody drastically different lifestyles. Laila is a long-suffering and dependable pharmacist who neglects her personal life for the sake of her work, while Alex is a freewheeling teenager whose lifestyle leaves him prone to go missing for a days at a time. Their differences become more apparent as a storm brews close to home; Laila needs help preparing her condo for looming high winds while Alex is nowhere to be seen. Although the wind never arrives in its expected full force, that does not mean Alex and Laila escape the blows of tragedy. As we learn throughout the novel, the threat of violence stalks the two families a murderer who specifically targets gay men is on the loose. In a book of interesting choices, it is here that Lopez’s writerly eye is at its most keen. None of the gay characters are too plussed by the threat of death, as fear is built into their very existence. It is the straight people, for whom harm often feels comfortably far away, that are the most concerned. Significantly, the book takes place in Orlando–the city once famous primarily for Disneyland and tropical storms but of course, now closer to the beating heart of the LGBTQ community. Today, it is impossible to think of Orlando without being reminded of the Pulse nightclub, where on June 12th, 2016, fifty people were shot to death. When writing about a place that has become national shorthand for tragedy–be it Sandy Hook, the 9th Ward, St. Vincent’s Hospital, or Laramie–a writer usually makes a choice to engage in a place’s trauma. But not Lopez; The Show House was already completed before the Pulse shootings. Although this fact may be hard to remember for readers of the novel, it could also result in powerful conversations and interesting questions. One such question being: how does Lopez achieve suspense? While some may think the book derives its power from recent events, the truth is that for many readers within the LGBTQ community, nightclubs have long been places of both freedom and fear. The dance floor, while a place to let go, can also be a place to have your heart-broken, to dance with ghosts, and sometimes, to meet someone that may steal your life. The Show House is a satisfying read and serves well as the page-turning, paperback thriller that it is. 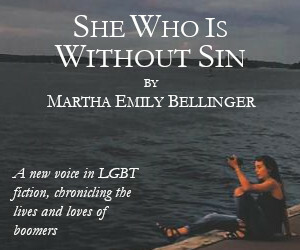 Meanwhile, it is also a thought provoking meditation on the anxieties and pain that lurk within contemporary gay life. Edmonton born Theodore Kerr is a Brooklyn based writer and organizer. For ten years he has been working at the intersection of art, AIDS and activism. He was the programs manager at Visual AIDS. Currently Kerr is doing his graduate work at Union Theological Seminary.